Welcome to South Bay Financial Partners, here to help with over 20 years of expertise. Cost of College Can Be More Stressful Than a Final Exam! College is supposed to be “the best four years of your life,” filled with long hours at the library, meeting lifelong friends, and creating experiences you’ll have for the rest of your life. Simultaneously, it has also become “the most expensive four years of your life,” and, for most people, making decisions about financing your education and the inevitable debt begins at the ripe old age of 18. As a high schooler, you’re faced with one of life’s biggest decisions at a time when you’re still developing. Trying to decide what you want to do for the rest of your life can often seem daunting, but, nonetheless, you must make a decision. Deciding which school to go to and what to major in will have countless impacts on you for years to come. As a recent graduate of Case Western Reserve University in 2016, I have found there is no worse feeling than having debt lingering over my shoulder, especially at the age of 22. Having learned from my mistakes–and my successes–I hope that this article will help those of you who are preparing yourself or a loved one to go to college. If I could go back and speak to 18-year-old Stuart, I would share some thoughts that I’ll cover in a series of articles starting with this one. Student loans come in many different shapes and sizes. Before choosing any of them, you need to understand the differences among all of the options that you could be presented. They break down into two categories: federal and private. Federal loans are offered through the U.S. Department of Education as either Direct Subsidized, Direct Unsubsidized, and Parent PLUS. Subsidized loans come with slightly more favorable terms but are strictly provided to students who meet the requirements of being in “financial need.” The main benefit to Subsidized loans is that they are offered at a low-cost and fixed rate, with the interest being paid by the government while you are in school, hence the term “subsidized”. Unsubsidized loans are available to everyone and also come low-cost and at a fixed rate. The key difference, however, is that the government does not pay for the interest that accrues on the loans while you are in school, which means you are on the hook for a larger bill. Parent PLUS loans are available to parents who are paying for their dependent children’s college costs. Because they come with higher interest rates, students and parents need to utilize subsidized and unsubsidized loans before considering taking out a Parent PLUS loan. On the other hand, private loans are taken out from banks, certain states, the college or university, and other non-bank financial institutions. The rates and repayment terms vary by institution, personal credit scores, income level, debt-to-income ratio, etc., very similar to any other loan you would take out from a private institution. Due to the lower costs and repayment terms of Federal loans, a general rule of thumb is to explore those first and then pursue Private loans after you have shopped them, to ensure that you get the best possible rates and terms. Understanding different types of loans is important but equally as important is knowing how to utilize them. Obviously, there are many different factors that will be in play, such as money or investments that can be used, eligibility for financial aid or scholarships/grants, and ability to work while in school, so each individual’s situation will be different. Your best option is to sit down with an expert and make your decision based on your personal situation, but I will lay out a general blueprint that you can follow when you are considering loans. If you qualify for Subsidized loans, it is of utmost importance to make sure you utilize these first, followed by Unsubsidized loans. Following those, you can consider private loans up to the amount that is needed to cover the total costs of attendance. Note that if you don’t use a Direct Loan one year, you are not allowed to go back and reclaim it for the current year–they are very much “use it or lose it”. A common mistake people make is failing to budget their resources for all four years and running out of resources the final years and, consequently, being cornered into taking more expensive loans. If, for example, you have $20,000 saved and allocated for costs of attending, you’re better off allocating $5,000 per year to tuition from a 529 account in order to maximize the number of Direct Loans that you are eligible for. Below is a chart that shows how much in Direct Loans you are eligible to receive per year for an undergraduate student who is still a dependent of his or her parents. 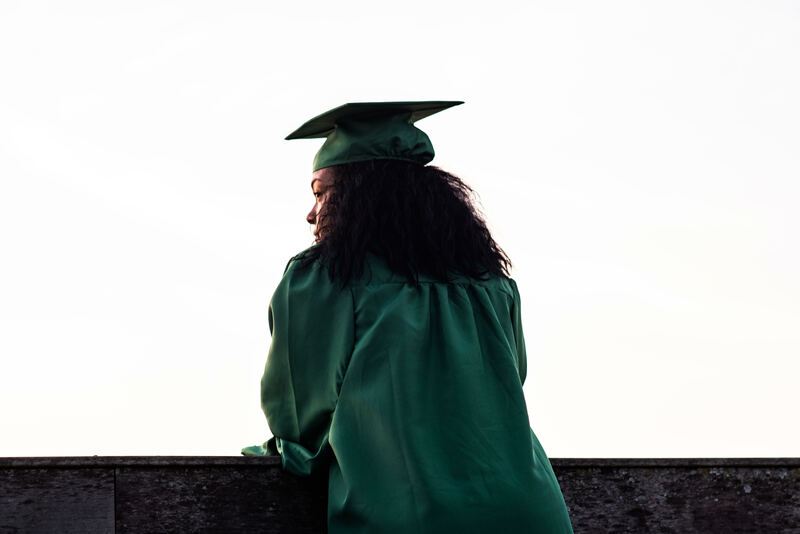 There is absolutely nothing simple about college planning, and, unfortunately, understanding the types of loans is only one piece of the puzzle. Deciding which college to attend goes beyond just a school ranking, location, major, etc. For best college planning, you must analyze all of your and/or your child’s financial and academic information to determine eligibility for need-based and merit-based financial aid, which can then be referenced against a list of schools to maximize scholarships. In addition, it’s important to understand the differences among schools and how they award financial aid. The sooner you start planning for the cost of college the better. For parents, spending time planning when your children are young, picking the right school when they are in high school, and planning how you will fund each year can reduce the amount you may need to borrow and the types of loans you have access to. Are You Ready to Start Saving Money? We bring 20+ years of experience working with over a hundred people in various stages of life and various financial situations. Everyone from the young family planning for college to families dealing with the final months of the matriarch’s life.